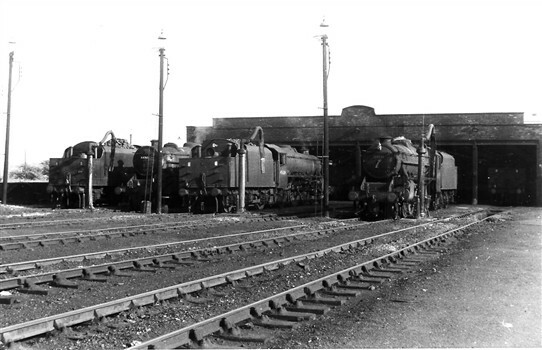 Images of Annesley Loco Sheds taken by David Dykes during the period c1962 to c1965. 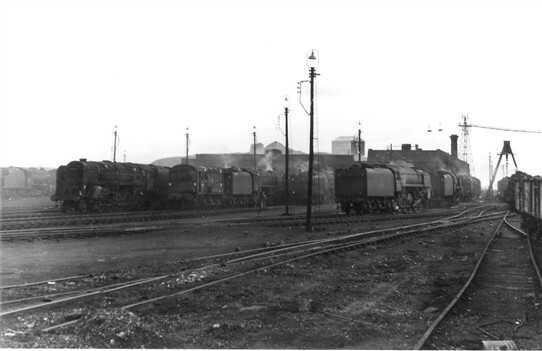 The yards closed down during 1965 and the loco shed officially closed on 3rd January 1966. 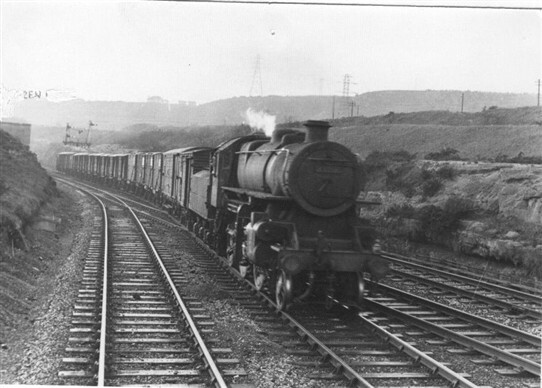 Annesley MPD (Motive Power Depot) supplied loco's for the famous Annesley to Woodford freight runs known as "Annesley Runners". The famous DIDO workmans train ran until the early 1960s. It travelled between Bulwell, Hucknall and Annesley MPD and back several times a day, usually via the former Leen Valley Great Northern line. Hence DIDO stood for "Day In Day Out". My Uncle Ged, my Dad's eldest brother, was a fireman at Annesley MPD for seventeen years. He emigrated to Australia in 1969. Around ten-years ago I was asked at Burton Railway Club why it was always difficult to find Annesley sheds. My answer was "because they were at Newstead"! This page was added by David Amos on 16/11/2011. 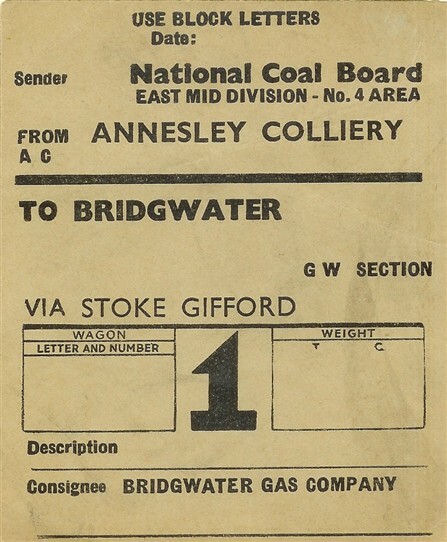 Chris Ward has a useful website on Annesley Sheds and Yards which can be picked up by doing a "google search" My Uncle Ged was the only one of five brothers from Annesley Rows that did not go into the pit. 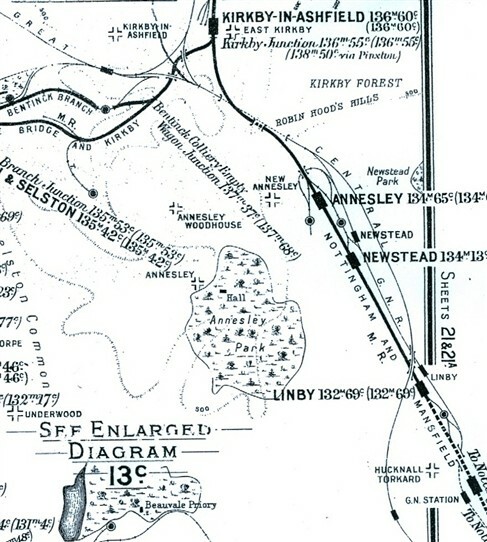 He fired at Annesley for seventeen years on the "Woodford Runners" taking coal to Woodford Halse Marshalling Yards. The last time I talked to him in 1995 he told me the 9F's employed on this duty from the mid 1950's were magnificent compared to the motive power that pre-dated them. My Uncle Ged, a former Annesley MPD fireman, passed away in Sydney, Australia in January 2013 aged 84 years. As the eldest of 5 brothers he was the only one to work on the railways. The other four brothers, including my Dad (Eric) all went to the pit, initially at Annesley. Our family watched the funeral by a live link at midnight British time. Ged went to Annesley MPD after his army days and spent 17 years there firing the steam locos until the rundown of the MPD and yards commenced in the early 1960's. He emigrated to Australia, along with wife Lorna and my two cousins, Paul and Jane, in 1968. My father worked in the yards for many years before retiring around 1958. He was at that time assistant yard master. I remember going to work with him during school holidays when I was a young teenager. I have gleaned some information from searching, plus this and other websites; supporting a scanned photo. See : https://www.flickr.com/photos/terry_browne/32225695133/ . Hope this helps.